We all dream of getting a big win on a slot machine. Winning thousands of pounds would be absolutely fantastic and there’s so much you can do with your winnings. There are some slot games out there though that can win you millions of pounds and totally change your life forever. As we have explained in other articles, each slot machine will have a RTP (Return to Player). This indicates the average payment that is made to the player. For example, a game with a 92% RTP will on average pay out £92 for every £100 staked. That’s not what will happen every time you play the machine of course as it’s an average. 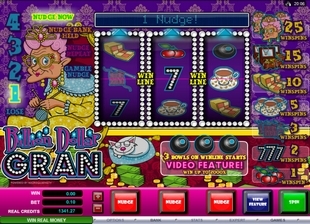 Some slot machines have a very high RTP and these will attract players to them as they seek to make a profit from the game they love to play. The higher the RTP for a slot machine, the lower the house edge will be. Not every machine will tell you the exact RTP but there are many out there that can have an RTP of over 95%. For example, ‘Billion Dollar Gran’ (Microgaming) has an RTP of 96.5%, while ‘Demolition Squad’ (NetEnt) has one of 97.1%. The RTP for online games tends to be larger than those for the slot machines you’ll be playing down your local casino, where some may have an RTP as low as 85%. The real desire when it comes to High Payout slot machines is to win a jackpot that you’d normally only get if winning the lottery. Progressive jackpots can really pay out massive amounts and this can go into six figures. If you check the paytable of the game you’re playing, then this will always tell you the amounts that can be won when playing the game. Usually it’s getting the maximum amount of wild symbols that will win you the game’s jackpot. 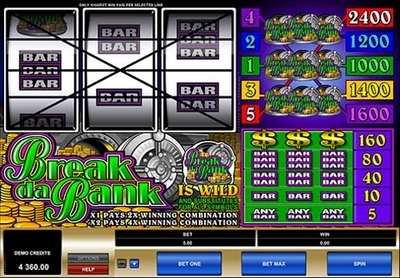 For example, in ‘Break Da Bank’ which is a three-reel game, three wilds will win you 2400x your line stake. More money can be won in lucrative bonus rounds, especially those that have free spins. But there’s another jackpot that can really have you jumping for joy. The biggest wins in online slot machines come when you hit the progressive jackpot that the game has to offer. This is where you can become a millionaire on the spin of the reels but playing at maximum bet is required more often than not. The progressive jackpot will keep on increasing as more and more people play the slot dreaming it’ll be in their account balance one day. A small percentage of each bet made will increase the available progressive jackpot. It’s really exciting to see the amount that can be won climbing and climbing. When they are eventually won the amount available returns to a set amount so it’ll always be a decent amount to win. One such game with a progressive jackpot is ‘Beach Life’ (Playtech). Five of the wild sun symbols can see you winning a life-changing amount that could be over $6.5m. Here you can see the spin that won over £5.1m on a single spin for one lucky punter. You have to be careful chasing these big jackpots, especially if you’re continually playing at the maximum bet level. Don’t be blinded by the thought of becoming a millionaire on the spin of those reels if it means gambling outside of your financial budget. It’s ok to have a dream of winning a massive prize and in October 2015 a British player won a staggering £13m jackpot on the ‘Mega Moolah’ slot game for just a 25p stake, just think next time it might be you.